Sign-Up Form: Due March 1! Return to teacher. If you want to work with a partner or two, please provide one form per project. to work! 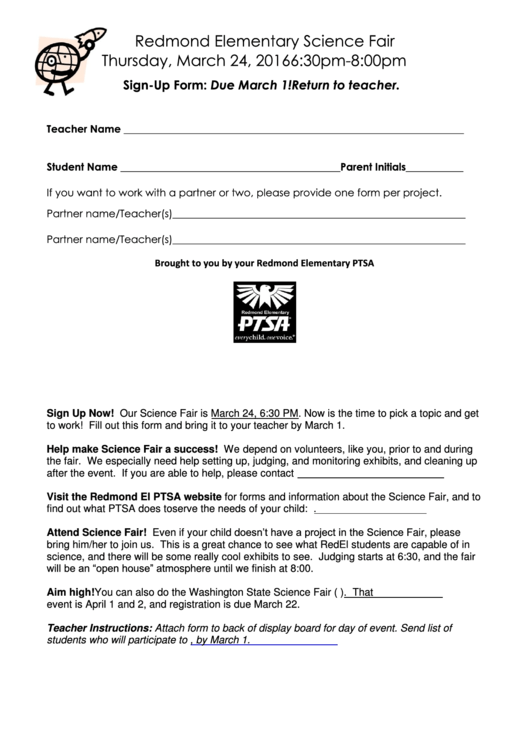 Fill out this form and bring it to your teacher by March 1.
after the event. If you are able to help, please contact . will be an “open house” atmosphere until we finish at 8:00.
event is April 1 and 2, and registration is due March 22.
students who will participate to , by March 1.